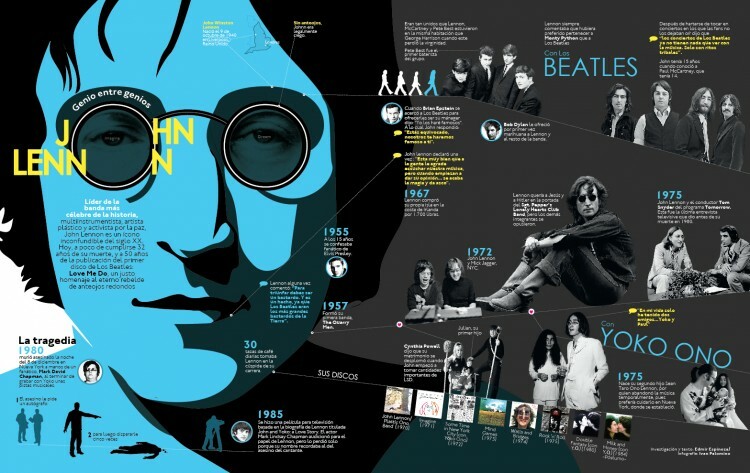 For my generation, today was the day the music died with the senseless murder of John Lennon, one of the former Beatles. I found this infographic by Ivan Ciro Palomino Huamaní, an infographic designer from Lima, Peru, with more than 10 years of experience and currently the Head of Infographics of the Epensa Group. Check out other work by Ivan here.